Fruits are poisonous, see Notes. Shrub or small tree with reddish, peely bark. Needles present in two varieties: sharp whorls of three needles, or blunt, scaly leaves. 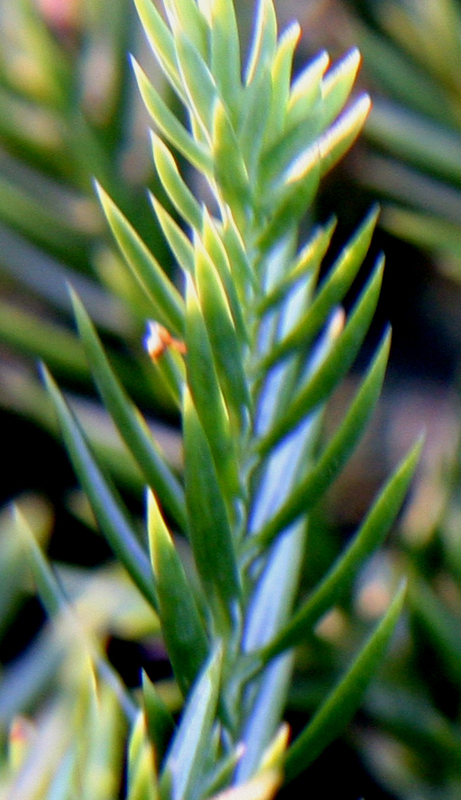 Needles often have two white stripes on top. Fruits are berry-like, small, hard, and spherical. Often blue-gray to dark purple. 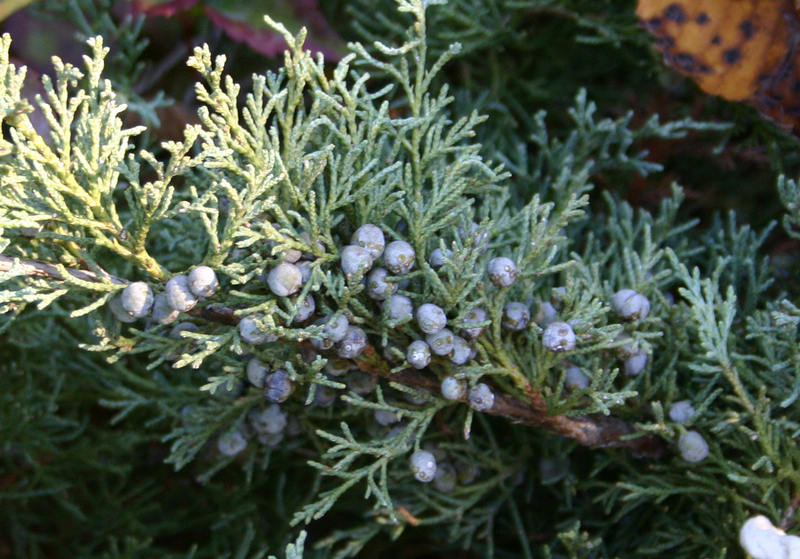 Juniper tends to grow in relatively unfertile soils throughout Canada, Alaska, the Northern US, and mountainous regions. 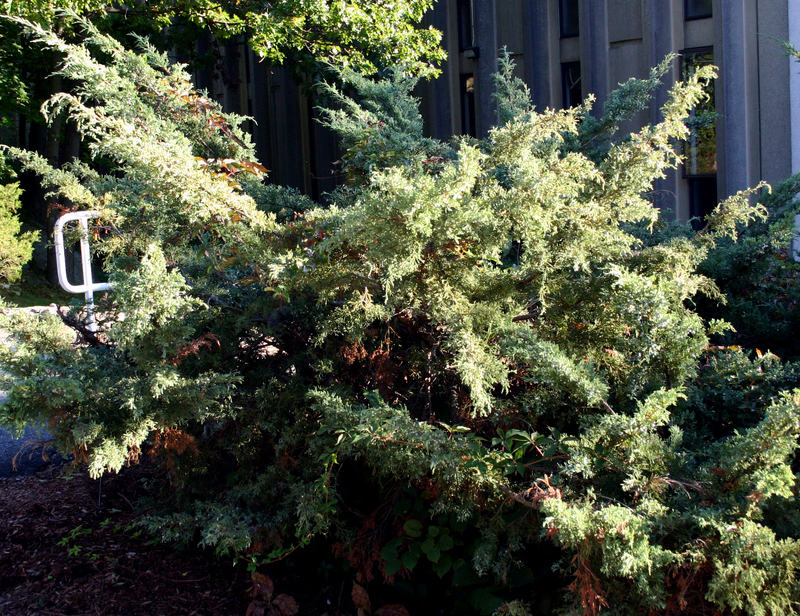 American Juniper tends to be shrub-like; European plants tend to be trees. Widely used as a strong diuretic. Commericially harvested for diuretic and laxative products. 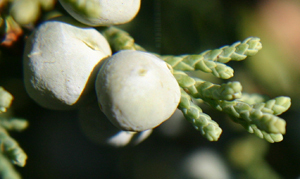 Also used in folk remedies for flatulence, urinary cystitis, colic, coughs, and stomachaches. Juniper berries are used to flavor gin. Approved in Germany for use in teas as appetite stimulants and stomach soothers. Large, frequent doses are toxic and can cause kidney failure and convulsions.